As Treasurer, Scott Morrison appears to have been more interested in clawing back money lost in the welfare system than handing out welfare payments. While increased funding to the Newstart Allowance scheme was much anticipated, Morrison failed to deliver this in the 2018 Federal Budget. Instead, Morrison maintained his commitment to government debt collection, declaring that the Social Welfare Debt Recovery scheme (its alias being ‘robo-debt’ by the Australian media) would be extended for another three years. The scheme, an automated Centrelink debt recovery program implemented with the objective to raise government revenue from money owed, has been labelled ‘deeply flawed’ and ‘unlawful.’ Its inefficacies were brought to light earlier this year, where it was revealed that automated debt recovery notices were sent to 20 000 recipients who were later assessed to have owed less. Morrison’s commitment to raising government revenue from social welfare can further be observed in the 2017 Federal Budget, where Morrison waged a heavily controversial war on dole bludgers and drug abusers. The then-Treasurer argued that ‘we will no longer accept, as an excuse from repeat offenders, that the reason they could not meet their mutual obligation requirements was because they were drunk, or drug affected.’ National drug testing and penalties to be issued for welfare recipients who showed up to appointments or work-for-the-dole placements under the influence were among the strategies implemented. The system was ill-received by the Australian public and leading health organisations alike who contended that drug abuse would only be exacerbated, naming increased stigma, marginalisation and anxiety as the culprits. 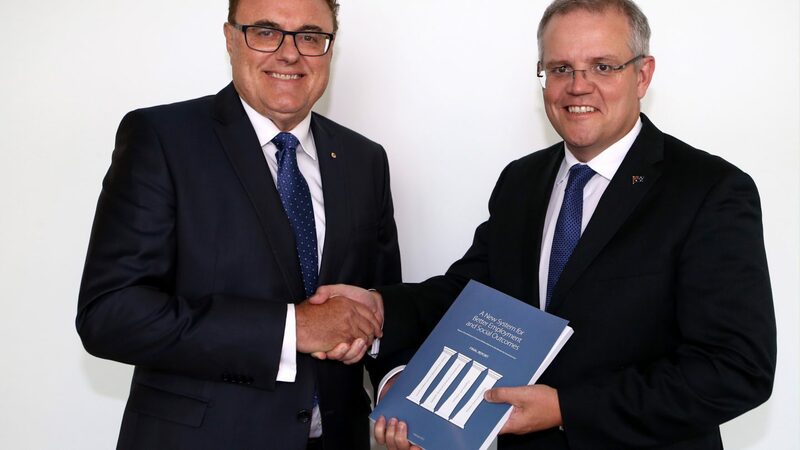 To add to Morrison’s savings measures, in December 2017 the then-Treasurer announced cuts to migrant welfare payments in his mid-year budget, a plan expected to save the government a forecasted $1.2 million across four years. In a bid to cut government spending, new migrants have become ineligible from receiving welfare payments. Rather, migrants are required to have settled in Australia for three years before they have access to social welfare. 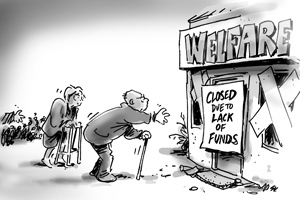 It appears that the hardest hit from Morrison’s devotion to achieving budgetary surplus will be welfare recipients. 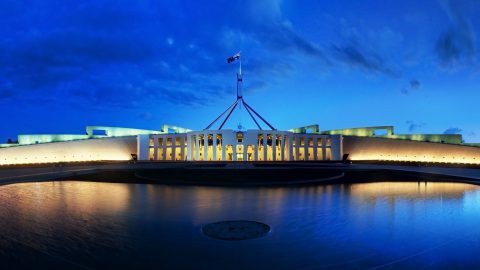 For the foreseeable future, it can be expected that new measures to cut government expenditure in social welfare will persist as Morrison maintains his small-state agenda. We can only hope, however, that Morrison’s leadership will achieve this through policies that attract much less public outrage. In line with the Turnbull government’s vision for jobs and growth, the Morrison treasury committed to a 10-year Infrastructure Investment Program with a projected total expenditure in excess of $75 billion. Some major projects that are underway include the establishment of the WSA Co. to build the Western Sydney Airport and investing in the Australian Rail Track Corporation to deliver the Melbourne to Brisbane Inland Rail project. We can expect Prime Minister Scott Morrison to further prioritise infrastructure projects to fulfil the 10-year Infrastructure Investment Plan, mirroring his predecessor’s strategy of jobs and growth. Reforms to education do not appear to be at the top of the new Prime Minister’s agenda. This is not to say that the Morrison government won’t pursue programs to benefit students – just don’t go expecting any miracle reforms. Again, Morrison’s contradictory behaviour is outlined in his approach to the Medicare levy situation. While the scrapping of the levy announced in 2017 is no doubt a benefit to Australians, Morrison’s unclear strategy remains a concern.